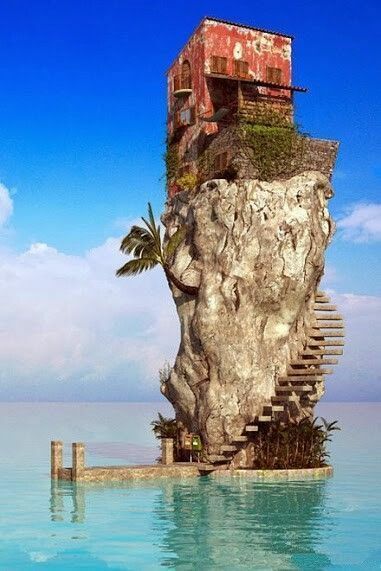 Is this a real photo of a house in the middle of the ocean? This is a computer generated image called “Paradise Rock” by Jonathan Besler. Source: Interfacelift. The image was created in Autodesk 3ds Max 2011 software.